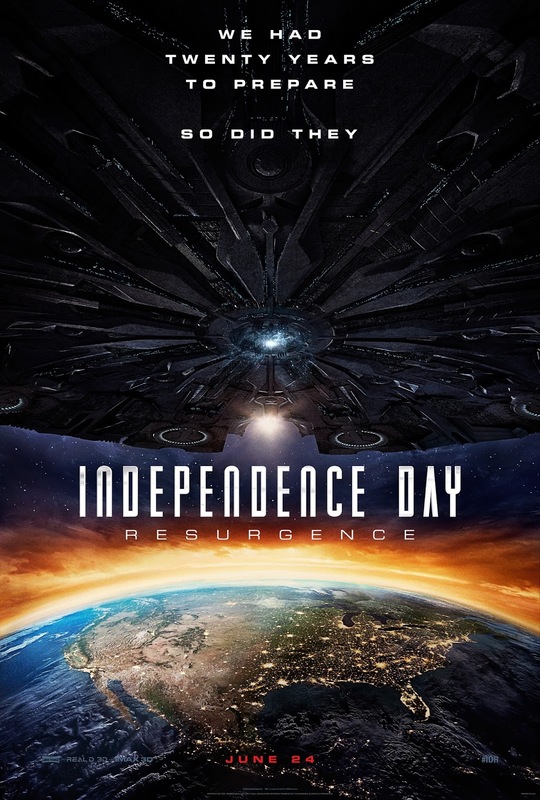 In light of Earth Day today 20th Century Fox has decided to release a new look at this summer's Independence Day sequel that will inevitably destroy it. This twenty years later sequel that undoubtedly hopes to cash in on some of that nostalgia money Jurassic World was able to make last past summer is throwing all the chips on the table with this latest trailer. Unlike World though, this property has many a returning factors. Director Roland Emmerich has directed what looks to be a real time second chapter to the story of the 1996 alien invasion where the likes of Jeff Goldblum, Bill Pullman, Judd Hirsh, and Vivica A. Fox are all back to once again defend the planet from incoming invaders. The set-up has a neat little conceit to it as Goldblum's David Levinson has seemingly been leading the charge to ready the Earth for the inevitable by using the alien technology they acquired after the events of the first film to protect them if the aliens were to ever return. Well, it seems as if the time has come. With this new look at what I assume is recently completed footage given the amount of CGI here is seems the director has really outdone himself this time in terms of pure spectacle and scale. The destruction in this thing is almost incomprehensible, but it is truly stunning and should translate on the big screen quite well. The real question is if any of these characters will the same way Smith was able to way back when. At the very least, Emmerich is always a reliable source for big, brainless summer spectacle and I expect nothing short of such entertainment here. Independence Day: Resurgence also stars Liam Hemsworth, Brent Spiner, Charlotte Gainsbourg, Jessie Usher, Maika Monroe, Sela Ward, and opens on June 24, 2016.